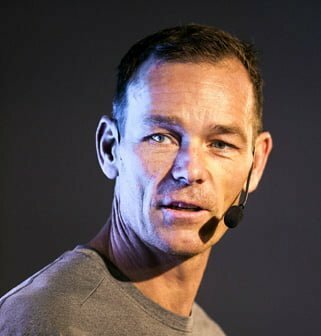 If you have people smiling after they’ve interacted with your brand I’d say half of the game is won. Just seconds ago I browsed through Visualjournalism where I read a post about Googles Chinese competitor Baidu and their newly launched equivalence to Google Map. 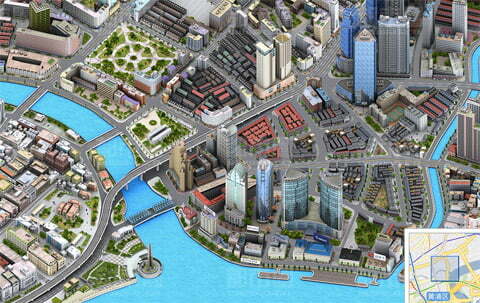 Baidu has launched a SimCity styled map engine. It made my day. I hope it makes yours! Head over to Baidu and play. Baidu’s interactive SimCity styled map. Nästa steg hade varit att se kartan i lego! En Lego-earth. Looks really good, I actually get that old Sim City feeling. LOL, no satellite view, as it would reveal China’s 1920s style map obfuscation. If you look on Google maps of China you’ll notice that the maps are all wrong, the satellite view does not line up with the “maps” of the roads. Apparently China has all their maps offset by various amounts from the actual physical location of things for “Security Reasons”. Doubtless the Russians, the US and even North Korea has accurate maps of China with this stupid offset removed, so it’s like standard DRM which just screws over average consumers like us. It’s funny that it even Chinese companies are saddled by this, the satellite photos just don’t line up. Of course Chinese GPS systems are programed to overcome the offset, as are Cruise missiles, airplane GPSs and anything else that matters. The only person it screws up is Baidu (No satellite view since it wouldn’t line up) and foreigners in China trying to use their phone GPS. STUPID!!! Way past time they just issue accurate maps, or maybe the CIA or North Korea can release offset corrected maps to the general public. There’s a Android App that intercepts your phone’s GPS coordinates and produces the correct offset for China’s hairbrained scheme… so there’s obviously some predictable equation to the offset. Stretching the road maps as required would be a simple task, China just needs to change the law so Baudu and Google can go ahead and do it. I blogged this one mostly out of inspiration for marketeers as Baidu has done a very smart thing here. But it’s also important to know the facts that you bring forward here! Thanks! The problem with weird maps I mean when lining up satellite photos. I’ve gotten that information too. In the comments below there are more remarks on this. From my point of view the blog post is focused on the marketing effect of the design. So, I’m sorry to say I don’t think I can be of any good help.